I have now read this book three times over the last three years. I must admit even with all the knowledge presented in the book there are still times that I struggle with it. It is hard in part because I am the only one in my family who has gone gluten free. It is very hard when pizza is in the house, or making toast of bagels for the kids. I really believe the message of this book, but I cannot force my wife to change or force changes in shopping habits until she is convinced. The other thing that makes it so very hard is how pervasive wheat is as an additive, filler, packager and more. Between wheat and corn you eliminate almost 80 of the groceries in the store, and if you try and go dairy free also take out another 10%. That being said, I know I feel much better when I am following the advice in this book, and it is not just about the waist, and weight loss. It is about overall wellbeing, energy, emotional balance and just plain drive and focus are so much better by following the advice in this book. The Appendix 'Looking for Wheat in All the Wrong Places' will blow you away. The last time I had accidental exposure to gluten was a tin of Cashews, they were on sale and a different brand and my wife picked them up for me. I ate a couple of handfuls after a workout as a snack, an hour later I was feeling bloated, brain fog and generally unwell. I went and checked the can and wheat was listed as an ingredient. I literally could not believe it why in the world add it to the nuts? 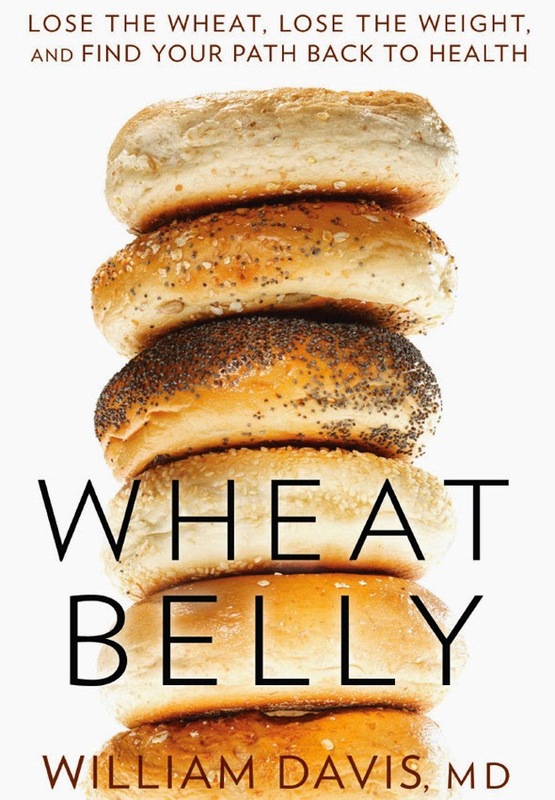 I highly recommend this book and to be honest the practice of going wheat and mostly grain free. This book will bring the head knowledge you need to make an informed decision and then you will need to move it to heart knowledge so that you consistently put it into practice. That will be the hard work and I hope that Dr. William Davis new book Wheat Belly Total Health will help me get there!